While at my mom's over the past week, I've been trying out a new body wash that I found in her shower ... Simply Olay Invigorate Body Wash. This body wash is faintly scented with pomegranate and leaves my skin feeling fresh, clean and supremely moisturized. Just a tiny dollop upon my pouf creates such immense lather, I find it almost impossible to use it all! Its name may have the word "simply" in it, but I really think this product is anything but! It's definitely one I'm going to need to incorporate into my own shower once I'm back in NYC. 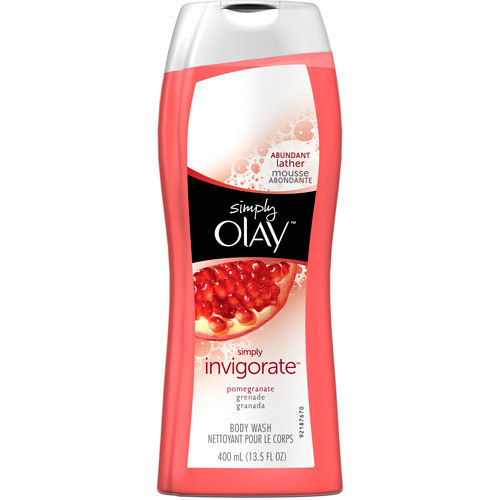 Simply Olay Invigorate Body Wash retails for $2.99 at olay.com. I'm going to try it. It's sounds nice and will help with the budget too :) Thanks!